In world tourism, Malaysia ranked among the top ten countries and there are more than 1000 restaurants operated by the foreigners. Like all other business, the key goal of the restaurant business is to make money and with numerous tourist, in a spot, Malaysia is an excellent place for starting place to start a food and restaurant business. In Malaysia, there are Indian, Lebanese, Persian, Taiwanese, French, Japanese and many more types of food. Starting a restaurant in Malaysia is an ambitious undertaking and it is one of the toughest business of all. Many restaurants fail within a few years of opening just because of poor planning. However, there are ways to establish a successful restaurant business in Malaysia and in this article we are going to provide the ideal resource. Every year’s thousands of tourists visit in Malaysia from different origins and they all have different tastes. So in order to establish a food and restaurant business, at first identify the segment that we love to work. For example, if we do not love making coffee then we do not go to the coffee shop. Also to set up a restaurant in Malaysia we not only need to know serving food but also learn marketing, human resource management, finance, local law, certification etc. One study conducted on Malaysian restaurant shows average Malaysian restaurants earns 5-8% profit. Although every restaurant is different, the following data shows typical after sales money distribution. Location is very important for the restaurant business in Malaysia and this can make or break a restaurant. The things to be considered for finding a suitable place is the visibility or amount of foot traffic, available parking, potential outdoor and indoor seatings, competition etc. There are few online databases provided by a different real estate company in Malaysia that may help potential clients to find a suitable space for restaurants. After choosing the location, the question comes if we want to buy or lease the property. Buying a property is a deciding factor for new investors. The benefits of buying property are that we don’t have to worry about rent hike and the advantage of leasing property is low budget staring and easy to quit if things do not work out. For overseas investors, a legal company may help the potential client to buy a property. For leasing a property in Malaysia, potential investors should also take support from a lawyer or a legal organization and not only look for rent but also the length of the lease, quitting conditions, insurance, repairs, service charges, guarantees, protection when the lease ends, restrictions, landlord history, property history etc. Working capital and also the hidden charges. We have to keep our startup cost as low as possible. Restaurant owned and operated by 100% foreigner owned in Malaysia must incorporate a Malaysian company SDN BHD with minimum paid-up capital RM 1 Million. Also, restaurants have to apply for the necessary business licenses such as signboard license, halal license, MCP, and PPM (if you want to play music in your premises). The company those owned by 100% foreigner, need to apply for wholesale, retail trade license to approve the entity. This unique license only issued to the restaurants with unique concepts with the minimum size of 1500 sqft (unique means the food items are hard to find normally). Also, foreigners have to apply for the DP10 – 2years work permit after all above license are obtained. The processing of DP10 work permit is very fast and usually gets approved in a month. Additionally, if you create a specific unique image or logo for the business, then you have to register the trademark for protecting it from being copied. A registered trademark can protect the business name, slogan, domain name, logo, color, sound etc. company and this is very helpful for the new restaurant owners. The drawback is the money and much bigger franchise requires you to have lots of money and property. Also, there are lots of rules that need to be followed and there is less freedom. Additionally, you have to pay the royalty fees that are usually 3-8% of yearly turnover. Key economic indicators and trade data relevant to the country’s market are discussed in the US market. The political situation, if relevant, is the main reason why US companies should export this country and affect trade such as terrorism or devaluation of currencies, trade agreements. Sri Lanka is a middle-income country with 21.4 million inhabitants. In 2017, Sri Lanka’s domestic product (GDP) reached $ 4,065 per GPO compared to GPO per billion dollars. Due to the lack of agriculture due to droughts and floods in some areas, Sri Lanka’s economy grew by 3.1 percent in 2017, an increase of 4.5 percent last year. The International Monetary Fund (IMF) expects GDP growth of 4,000 percent in Sri Lanka in 2018, boosting agriculture, industry and wellness services. In December 2017, the inflation rate was 7.1%, down 4.4% in June 2018. With signs of a recovery in agricultural production, the IMF estimates the inflation rate in 2018 to be below 5%. It is estimated that in 2017, Sri Lanka estimated 60 percent of its GDP and carried external debt. The government will have to expect high payments in the coming years. Due to the strong US dollar, the rupiah fell by one percent. The total annual imports amount to about 21 billion US dollars, mainly in India, China, the United Arab Emirates and Singapore. In 2017, Sri Lanka had goods worth $ 336 million. Trade in goods and services between the United States and Sri Lanka in 2017 was $ 3.2 billion. The United States is Sri Lanka’s largest export market, exporting $ 2.9 billion from Sri Lanka in 2017. These countries. The Government of Sri Lanka expects the Sri Lanka-Singapore Free Trade Agreement to be signed in January 2018 to link Sri Lanka with regional and global values. By July 2018, Sri Lanka has signed a free trade agreement with China under the Economic and Technical Agreement (ETCA) and China. Sri Lanka is relatively open to foreign investment compared to other countries in South Asia. It offers an open financial system, an average continuous monetary policy, an improved infrastructure and the provision of experienced local businesses. The ancient Kingdom of Thailand is located in Southeast Asia. The country has never been exposed to alien forces and its people have a strong and independent sense of identity. The Thai economy is largely dependent on the tourism industry. Visitors from all over the world meet to enjoy the idyllic beaches of the country and experience its culture. The stores in Thailand offer many benefits to your business. Some of the advantages of doing business in Thailand are the following. The Thai company, and especially the business community, very much welcomes foreign investments and companies that want to settle in the country. Organizations working in Thailand will find that infrastructure and systems are ready for successful work. Thailand has a large and very active manufacturing sector, producing a wide range of products including toys, fish products, rubber, furniture and jeweler. These manufacturing forces and FMCG have made Thailand a regional leader in trade and commerce. The Thai Government is a progressive and innovative institution that actively promotes development and socio-economic progress. Foreign investment, both financially and locally, has been strongly encouraged by the Thai authorities, and government policy over the past decade has helped create a more attractive environment for foreign companies and organizations. Thailand has a large and adaptable workforce. According to the Thai Investment Council, literacy rates for men are 94% and 90% for women. For this reason, foreign investors will find intelligent workers with development opportunities. Not only are Thailand’s workforce flexible and educated, they are also among the most profitable in the region, with an average daily salary of $ 203 THB for Bangkok (around $ 6). Thailand is a welcome, friendly and fast-growing nation where it can build lasting and solid business and financial relationships. The Thai culture is rich in tradition and history, and the Thai people have a respectable and strong desire to be successful. Thailand is a regional commercial and productive center with the integration of democracy into the social fabric. It has become a very attractive business location. To increase the chances of a successful Thai organization, you should consider a cultural awareness program such as Doing Business in Thailand. Once you attend one of these intercultural trainings, your organization and staff can formulate effective strategies to overcome cultural traps or challenges in the business world in Thailand. If you plan to start a business in Sri Lanka, it’s wise to come up with plans and small capital. The World Bank is the 109th country in the Index of “Doing Business” among 189 countries. However, over the past decade, Sri Lanka has seen many start-ups. The government tried to improve business and business. While the company’s creation is a small barrier to managing the process, the process is simple and clear. Registration can be done in the best online mode. Some important tips for a potential businessman in Sri Lanka. The structure of private property is similar to many countries. After signing up as a tradesman, they paid your personal earnings. You are responsible for all of the Company’s obligations. This is the fastest and fastest business. Just like a businessman, you can buy others. Registered partners are similar to one property, but ownership is universal. All partners legally and financially share the company’s commitments. Collaboration is not taxable as various legal entities, so relatives have personal income. Limited computer company is the most common type of Sri Lanka business. Directors and two shareholders are required. Minimum amount of capital is not required. The secretary of the company should be a resident of Sri Lanka. A limited company does not even need the least amount of money. This type of activity should have two shareholders and two directors. Directors should provide annual revenue with certified accounts and financial statements. Stock Exchanges may be issued. Offshore company can operate outside Sri Lanka. However, he cannot do business in the country, but he is there. Foreign direct investment in Sri Lanka (FDI) increased by $ 719. million in June 2018, compared to an increase of $ 352 million in the previous quarter. FDI in Sri Lanka: data on net inflows in millions of USD Quarterly updates, available from March 1977 to June 2018. The last value for foreign direct investment, net outflows (SB, current US dollars) in Sri Lanka is $ 236 808 100 since 2016. Over the past 31 years, this indicator ranges from USD 236 808 to 100. Foreign direct investment and net outflows of GDP in Sri Lanka are equal to 0.291 in 2016. The highest value in the last 31 years is 0.291 in 2016 and the lowest is 0 000 in 2001. The last value of foreign direct investment (net worth of the balance of payments, current US dollar) in Sri Lanka is (661 275 700 US dollars) from 2016. In the last 41 years, the value of this indicator ranged from $ 1,218,567 in 1977 and $ 895,920,000 in 2011. The highest foreign direct investment (FDI) in Sri Lanka in 2017 comes from China, a Sri Lankan statement said. The bank said foreign direct investment in Sri Lanka rose to more than $ 1.6 billion in 2017, rising to $ 801 million. The Agency for Labor, responsible for promoting and facilitating foreign direct investment, said that in 2017, 1.63 billion dollars were reached, the highest level exceeding 1.61 dollars. The strong growth is a direct consequence of the reorientation of the government’s economic policy towards a growth based on investments and exports rather than on public debt-financed infrastructure spending. Among the sectors with the greatest growth are the export-oriented manufacturing industry (+ 27%) and services including tourism and information technology (+ 50%) and infrastructures (+ 190%). The highest FDI comes from China, followed by India, Hong Kong and Singapore. There is a strong link between foreign investment and economic growth. More inflows from foreign investments are needed so that the country can achieve a path of sustainable economic growth. There are several indisputable reasons for this. To increase the economy by 6-8% per year, it is necessary to invest from 35% to 40% of GDP. National savings do not reach almost 10%. Foreign loans and foreign investments must meet this investment deficit. This is commonplace and other governments are trying to provide different incentives to foreign investors. However, the record of foreign investment in Sri Lanka is much lower than expected and is low compared to many other Asian countries. The Sri Lankan economy has witnessed a steady revival of growth in recent months, with the country taking new ways to monetize goods and services. The new government has brought freedom, democracy and transparency, thus giving a message of trust to the international business community. The business environment in Sri Lanka are becoming more flexible in terms of ease of doing business. Here are the most effective guidelines for company name registration in Malaysia. To register a company name, you can also follow this instruction. Actually, all business name registrations process managed & approved by the SSM (Companies Commission of Malaysia). Hopefully, this articles information helps you to get knowledge on that types of documents needed to register a Malaysia company? And What should you do for registering your company name as a trademark or etc! Description below. Personal name: is the name used in the identity card. This type of name used to register company name do not require approval or reviewing. Example Mozahidul Islam Co., Lee Sharon etc. Trade Name: The trade name is a name given to by business owners and investors to locate their business firm as an individual company within a nation. The Registrar of Business of the sole authorized body for company name registration Companies Commission of Malaysia (SSM) has to approve this business name for incorporation. 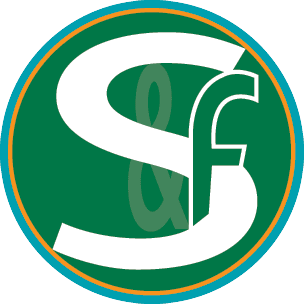 Example S & F Consulting Firm Limited. Application for company name for a business entity must be done by using a PNA42 form. The application form must be filled with all valid details as asked in the form. If the desired proposed name given by the company owners or the sole investors requires the approval of the Minister, the applicant must attach supporting documents that is necessary for name approval. Rule 15 conducted by Business Registration Rules 1957. Government Gazette No716 conducted by Companies Act 1965. Act of other laws on prohibition of using words without approval of governing and regulating party. Usage of appropriate language& spelling. (b) If the desired proposed business name contains a fictitious word that is not Bahasa Malaysia or English, the meaning of the word must be given. The desired proposed business name cannot resemble another business name that has been registered or is kept under SSM authority for safekeeping. The desired proposed name of a business company is stated to be different and not identical to the name of another business company if there is a difference in letters or texts within the name initiated. Elements of obscenity, insults or profanity by any means. A trading name is said to be confusing in terms of identity and object if the trade name is not related or in line with nature of the business. Usage of names of renowned figures. Usage of names that refer directly to the sole business owners. Usage of the owner’s full name is only allowed in a case when the business name contains titles such as Prince/Princess/King. (c) Usage of names containing confusing words as an identity such as “Company”, “Corporation”, “Body”, “Club” etc is not permitted. UPM, UUM, USM, UIA, UNIMAS, UMS, UIAM, UPSI, UMT, UMP, UTEM etc. Abbreviations of the Federal or State government agencies and GLCs Eg: SSM, CCM, JKR, JPA, JPM, BNM, KPDNKK, SEDC, PKEN, SIRIM,TNB, PNB, FELDA etc. (e) The usage of controlled and restricted words is not allowed. Eg: Architect, Engineer, Doctor, Pharmacists etc. (h) The use of numbers is allowed for certain aspects. (i) The use of letters/alphabets is allowed for certain aspects. (j) The use of word “Malaysia” or a state at the beginning of the proposed business name is not permitted unless approved by the Federal / State Government or itself is a body of the Government Party. (k) When using a combination of names gazette containing words, the business name has to be approved from the Ministry. (l) Using places or location names as certain aspects of approval to be followed. Allowed after 12 months from the date of termination. Allowed if the business has been terminated using Form C.
Contains any word suggesting a connection with Royal member or Royal family. Contains any word suggesting connection international organization. Contains words such as “Association”, “Union”, “Foundation”, “Trust “and related. Contains any word that is offensive to members of the public. Contains any word that is disrespecting to nature. Contains any word that is offensive to any race or religion. (2) The Registrar with the consent of the Minister may restrict the usage of any desired proposed business name which in his opinion is undesirable. Such names shall be published in the Gazette by the Registrar. The direction of the Minister under Sections 22(1) and 341 Companies Act 1965. The tax system of Malaysian is territorial. Residents and non-residents are taxed on their income originating in Malaysia, while foreign-sourced income is usually not taxed even in the case of local companies, firm or residents. There is no difference between foreign and domestic companies. For the method of tax taxation, there is also no subsidiaries of foreign companies. Malaysia government do not tax the capital gains on the sale of investments other than those relating to buildings and land. RPGT (real property gains tax) is only applied to the selling of land in Malaysia. You need to pay 30% for real estate sales which are made within 3 years of the date of acquisition. For the disposals in the fourth and fifth years after the acquisition, the rate is 15% & 20%. And 5% respectively for sales in the sixth year after acquisition. Company or business organization not following this policy will lose their business license of Malaysia. Benefits are allowed for cash grants to approved institutions (defined) made during the base period for one year of the valuation. The deduction is limited to 10% of the total income of that company for one year of the valuation. In the certain sector, the tax incentives are provided in the exchange of exemptions. Which includes hotels, manufacturing, energy conservation, environmental protection and tourism, in the form of tax exemption which is up to 10 years. Net operating losses can be carried forward for indefinitely (except in case of a significant change in the ownership structure of a dormant company). The transfer of losses is not allowed. Malaysian business license holder needs to contribute must contribute to the countries Social Security Organization (SOCSO). Business employers generally contribute 1.75 percent of salary for each employee who is registered with SOCSO. The employer needs to contribute 11% to 13% of the salary to the Employees’ Provident Fund (EPF). From 2018, employers and employees pay 0.2% of employees’ salary which is capped at 4 000 MYR each month. If a person lives in Malaysia for more than 182 days in a calendar year, he/she is considered as a taxable person. As I mentioned above the total corporation tax in Malaysia is 24% however the general corporation are taxed on their income. Comparatively, Malaysia tax system is more beneficial for the business license holder. Why you should Import into Malaysia ? Malaysia is a trade friendly country and the government of Malaysia is committed towards every endeavor that will enrich the trade facilitation. These facilitation includes expediting the movement and also the quick release and clearance of good that plays a vital role in international import trade. In this article, we are going to provide key points that are required to know be a potential importer in Malaysia. In addition with GST, excise tax also applies to certain imported goods into Malaysia. These goods include non-essential and harmful to public health and the environment. a safeguard duty policy foram emergency measure when the amount of certain imported product affects the domestic industry with similar goods in Malaysia. There are few products are under technical regulation in Malaysia. These include chemicals and materials, information technology, petroleum and gas, road vehicles, medical devices, palm oil, vegetables and flowers, construction and engineering materials. Note that technical regulation can only be mandatory only if its deemed so by the law and these laws in Malaysia are based on international standards. Malaysian authority named SIRIMBerhad is Malaysia’s WTO – Technical Barriers to Trade (TBT) inquiry is responsible for disseminating information and decision making on standards, technical, regulatory, and certifications. Additionally, another subsidiary organization of SIRIM Berhad known as SIRIM QAS International Sdn. Bhd is responsible for primary certification body accredited by standards Malaysia in national level. Under the certain regulation, some products such as toys, batteries and electronic equipment need to be certified by Malaysian standards before entering the Malaysian market. Standard Malaysia is responsible for the accreditation of certification bodies, laboratories and inspection bodies in Malaysia and they provide certification to different government and private labs who do testing on the different field. Under standard Malaysia regulation, goods entering the Malaysian market should be labeled in both English and Malay. If the product comes from animal origin then it must be labeled with specific Halal labeling regulation. Additionally, the products those are genetically modified and also the pharmaceutical products have particular labeling requirements. For importing plants and plant-based product and animal and animal-based product and food into Malaysia, the sanitary and phytosanitary requirement must be fulfilled. For meat, processed meat, poultry, eggs, egg-based products must be supplied by the manufacturer and that have to be inspected and approved by the department of veterinary services which operates under the ministry of agriculture in Malaysia. The importer must show the import permit for importing above products. Note that, the ministry of health is responsible for all food safety in Malaysia and their subsidiary organization known as Malaysian quarantine and inspection services controls the border and inspects for all food items. There are few ports in Malaysia and these are controlled by the federal government. The list of the ports is shown below. stuffing and unstuffing cargo between borders, warehouse facility for loading, packing and unpacking cargo and also on dock depot container maintenance and repair services. Potential visitors should might discussions with the Board of Investment prior to establishing a company or a branch office in Sri Lanka. One-hundred-percent foreign ownership is allowed with certain exceptions. A foreign company register under the Companies Act of 2007 may carry up business in Sri Lanka as a branch, project, liaison or a representative office subject to the terms and conditions published in the Foreign Exchange Regulations 1 of 2017. The Island Revenue Act of 2017, implemented, includes concessionary corporate taxes and something rates for investments in specific factors and capital allowances on capital investments. The Act provides for two types of method investments, one allowing rules and the regulations and the other without rules and the regulations. For the approval, the owner or the chairman is requiring to build a liability organization. Organizations must join with Department of Registrar of Companies. Specific proposed name of the organization should arrange through the of Companies. Application to registration been established by the organization, Organizations approved section of the company law are known to include a secondary objective appealed by the association in the organization. The registering fee is depending on the association. an agreed copy of the charter, state, cover of association of Organization, a list of owners, full coverage of the registered or activities of the branch office. Not only c incorporation but some other also requires to register a personal limited company, depend upon the type of company. The private/ public limited company is registered offering shares to the shareholders and have the price of each share. Share members will each upon price from the company. As of the country, a private organization is stalled by two share members number of share members are fifty, in case of public corporation minimum shareholders are seven where at t two hold position of chairman. an under business competitions the market and they are meeting the needs of customers. Go to the local chamber of commerce or development and target areas to if needed in the area. Mature to a company, thus any ideas and assists in the office fall under the response of the organization. While opening an office in Sri Lanka. These are very fine to identify that the numinous ways to find the documentation if they want to do that one to join the organization as well as to that, should be such as the that activities of a company. The hopefulness of the specific country bad his rules and the regulations are the main factor of the category and find the details of such company and the organization as an in which the branch office will be set up. Suruhanjaya Syarikat Malaysia, SSM, also commonly known as Companies Commission of Malaysia, is said to the sole statutory body responsible for regulating and monitoring business incorporation and businesses within Malaysia. It can be stated that all business entities that have already been incorporated or going to incorporate in future or is currently under incorporation procedure must go through under authentic surveillance steps initiated by the SSM. SSM company registration steps and procedures are one topic that is highly cherished by many business owners and foreign investors from various nations. The Companies Commission of Malaysia or SSM was introduced at the year of 2001 under the Companies Commission of Malaysia Act 2001. SSM is allocated under the Ministry of Domestic Trade and Consumer Affairs (KPDNHEP) to initiate incorporation of various business companies, register businesses and maintains appropriate compliance between business company registration and corporate legislation through several enforcement and sorting activities. The activities or role of SSM just doesn’t limit to what mentioned till now. They also play initiative and major roles regarding SSM company registration laws, company infrastructure, company name approval, licenses and permits, articles approval and many more. Being the only sole corporate body assigned by the Malaysian Government SSM also play a vital role on acknowledging and providing vivid information required by the public in Malaysia and all around the world regarding company registration and business. An information center, Companies Commission of Malaysia Training Academy (COMTRAC), was established in April 2007 by SSM to train and educate all sort of corporate bodies appointed in a Business Company which involves the directors, secretaries, management figures, employees, auditors, entrepreneurs, innovators and other company members with SSM’s functions, laws and regulations regarding business strategies stipulated under the Companies Commission of Malaysia Act 2001. Whay you Import into Malaysia ? In today’s date, Malaysia is considered a prime business-oriented country with sorted resources, facilities and profit-making initiatives that they bring in for thousands of business owners and investors from various nations around the world. To acquire more attention of investors towards Malaysia Business the SSM Company registration was reviewed at the year of 2003. Simplifying SSM company registration policies to maximum for investors to understand and adapt easily plus reduction of the total cost of SSM company registration are the two main reasons for reviewing the Companies Act 1965 on 2003. The main vision and mission of Companies Commission of Malaysia (SSM) are to train and educate all sort of company corporate figure-heads i.e. directors, secretaries, management figures, employees, auditors, entrepreneurs, innovators and other company members with SSM company registration policies stipulated under the Companies Commission of Malaysia Act 2001. From March 2018 these Academy for education and training purposes is named COMTRAC & Knowledge Management Division. The SSM Company Registration authentic body corporate takes several steps for inspection and enforcement to ensure subsequent compliance maintained between business registration and corporate legislation. If any of the business companies or their respective owners try to make a cheap run or disobey any of the policies and regulations initiated by the Companies Commission of Malaysia Act 2001, they will be strictly punished – Cancellation of Business License, Ransom Charged and can even be jailed as per level of crime committed. Being the only authorized body as corporate governance in Malaysia, SSM shows no mercy for Businesses or owners who try to disrupt regulation initiated for SSM Company Registration in Malaysia.